How Far is Vishwasri Oak Park? 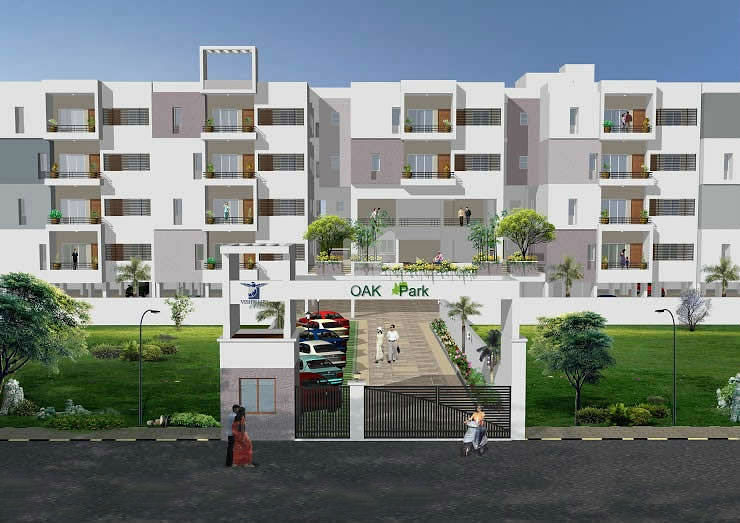 Vishwasri Property the proud builder of “Oak Canopy” is here again with the new project “Oak Park” at Saravanampatti Opposite to Vimal Jyothi Matriculation School with sophisticated but affordable homes with innovative design. Enter into doors of green heaven, otherwise known as Oak Park. It is one place where the air becomes sweet, wrapped in the love of Mother Nature. With cutting edge technology and aesthetic appeal, Oak Park is now all set to take your breath away. Steel – Good quality ISI branded steel. Cement – Branded quality OPC and PPC cement. Anti termite treatment in all footings and external floor – As per ISI Standard. Branded Vitrified tile 2’x2’ flooring in Living, Dining, Bed rooms and Kitchen, Branded Anti- skid ceramic tile flooring in Toilets, Wash and Balcony area. Good quality Branded Copper wires in PVC Conduits. Quality Branded Modular plate switches. MCBs and DBs of reputed make as per ISI & IS specifications. Two way control switch provision only at Master Bed room. 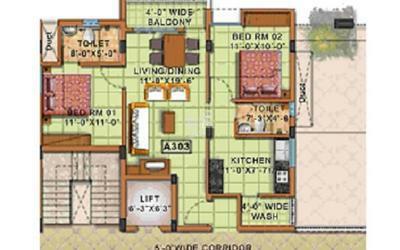 Provision for AC: One point for all 2BHK flats and Two points for all 3BHK flats. Television Cable Provision for living room and Master Bed room. Telephone Cable provision for living room only. Provision for UPS to all flats. Good quality branded CP fittings. Toilet pipe lines using PVC/CPVC pipes. Black Granite cooking counter with stainless steel sinks. 4 feet height Branded ceramic tile dado above the counter. Electrical point provision for exhaust fan/Chimney and water purifier. All Grill and Wood Surface finish with Enamel paint 2 Coats. Teak wood framed solid Flush door with Veneer polish finish for the Entrance Door. Country wood frames and standard flush door shutters including powder coated fittings with painted finish (or) Good quality country wood readymade flush doors with painted finish. All Toilet Ventilators in UPVC with provision for exhaust fan. Branded Tiles Dadoing up to 7 feet height. Good quality Anti Skid Ceramic Tile finishing in the lobbies at all the floors and staircase. Vishwasri Property India Pvt Ltd is a very enterprising group of Residential and Commercial property builders. The company has the expertise of successful engineers with 30 years of experience in the construction business. In 2010, Vishwasri introduced its maiden project Oak Canopy in the city of Coimbatore and now in Saravanampatti with 92 flats under construction. Vishwasri takes pride in its little effort it takes to create a better living space in a better society.